ACCA members can promote their national conferences, seminars, workshops and other events from this platform. You must provide the link to your own website for obtaining further information, registration and payment. 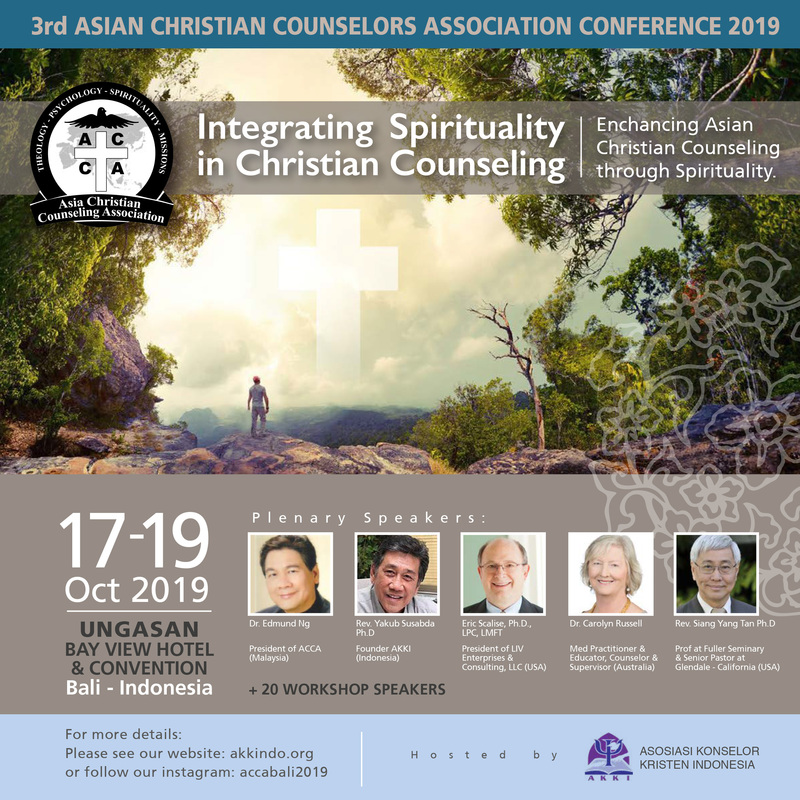 The purpose of the Consultation is to share and dialogue on the best practices to run the National Christian Counseling Association or start such a local body in an Asian country where it is not yet existent. Invitees to the Consultation comprises the President and Secretary of the national bodies, or other key office-bearers in their place, or key leaders in Christian Counseling keen on starting a new National Christian Counseling Association where such is still not yet existent in their own country. Attendance is by invitation only. 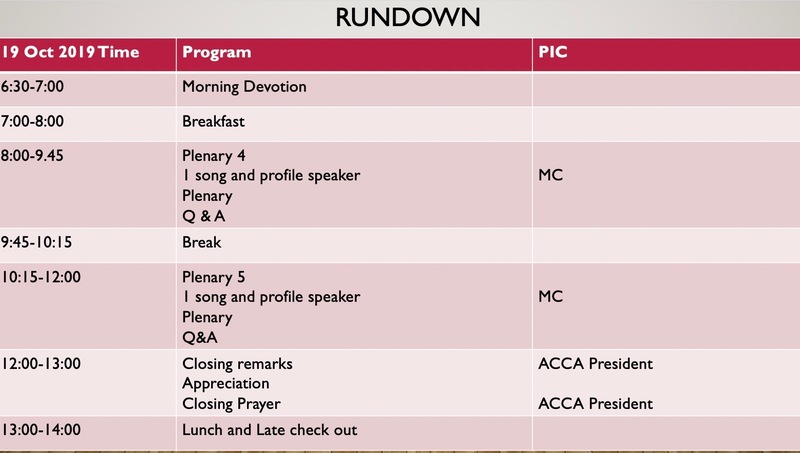 Please note that for existing National Christian Counseling bodies to join the ACCA as a member, it is compulsory for at least two key office-bearers of that organisation to attend the Consultation before their admission as a member. The Consultation will be held in Bangkok, Thailand. 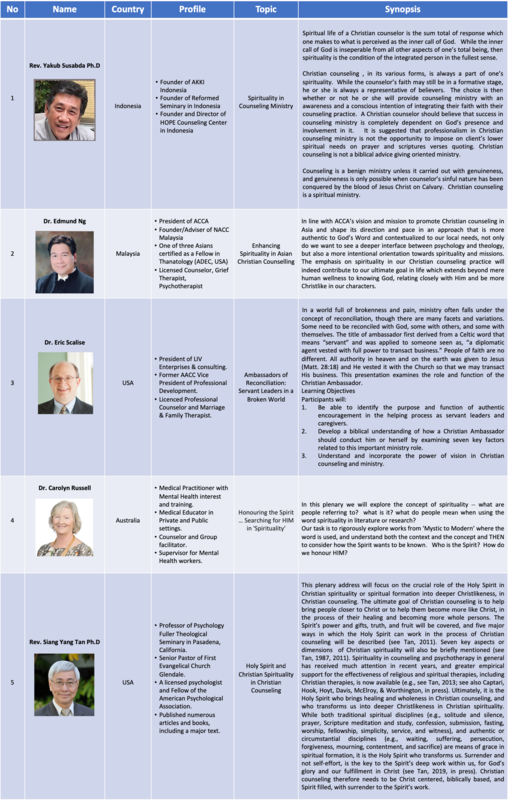 Interested parties are to write to president1@asiancca.org for more details. The closing date for registration is 30 May 2018. An Evening with Bill Van Schie on “Developing Spiritual Awareness in Counseling”. Bill is the Chair of the Spirituality and Ethics Committee of the National Executive Committee, Christian Counseling Association of Australia (CCAA). The lump sum fees include registration, accommodation from 17 to 19 Oct 2019 (2 nights and 3 days) and food (breakfast, lunch, dinner and teas) starting from 12.00 pm on 17 Oct 2019 (lunch) and ending at 2.00 pm on 19 Oct 2019 (lunch). 2) The conference starts at 1.00 pm on 17 Oct 2019 after your lunch (provided). If you are arriving later than the Opening Ceremony, you may consider flying into Bali a day earlier. 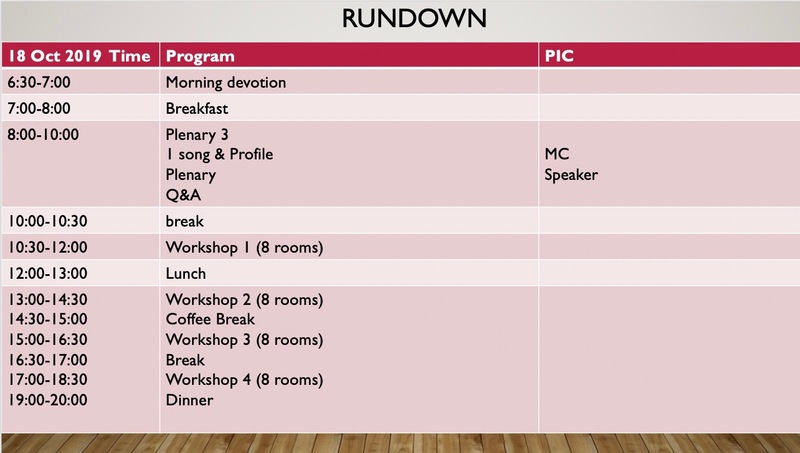 3) The conference ends at 2.00 pm on 19 Oct 2019 after your lunch (provided). If you need to leave for the airport earlier, you may consider extending your stay for one more night. 4) Extra nights at the same venue can be booked at around USD65 per night. You can contact directly the hotel, Ungasan Bay View Hotel & Convention, Bali, through the Internet or arrange through AKKI by emailing anafoo2010@gmail.com. 5) Speakers need not pay any fees. 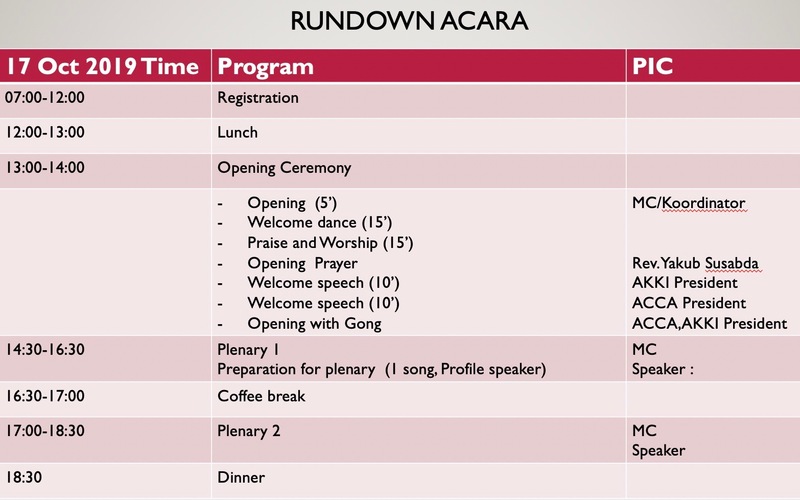 The accompanying spouse of a speaker (on room-sharing basis) need only pay an extra USD100 for the food. a) Payee is Asosiasi Konselor Kristen Indonesia of address Resid 1 Unit D/01/07 Tj Duren Raya, Kav 5-9 Grogol, Jakarta Barat, 11440 Indonesia. The tel. number is +622130047780. Email is inquiry@konselingkristen.org. b) Payee bank is CIMB Niaga (SWIFT code: BNIAIDJA) of address KC Jakarta-Kelapa Gading LB, Blok LB3 No. 34-36 Jalan Boulevard Raya, RT12?RW18, Kelapa Gading, North Jakarta, Indonesia. c) Payee account is 800157788040(usd).